And yes, the price! They cost $9, great value for such quality and appearance. 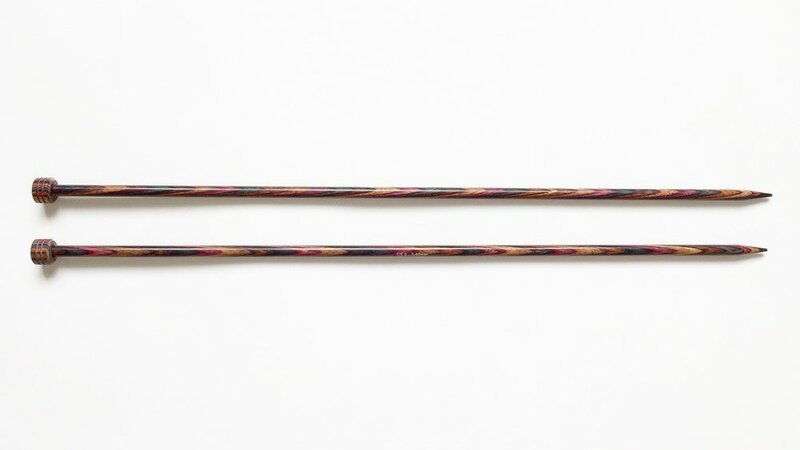 Stylish needles made of luxurious rosewood and palmwood. I use both of these pairs mostly for knitting narrow garments, as their length is just 12"(30cm). Points are medium-blunt and polish is just great. This makes these needles a great choice for roving or fluffy yarn like mohair and angora. Price is expectable for such wood and quality: appr.$22. Beautiful rosewood needles with pretty sharp points and nice polish. The larger ones are classic Zen with saucer-shaped ends, can't say something special about them. But the smaller ones are Triangular! What a find! The shape is especially great for tight knitters as it reduces tension and feels extremely comfortable in hands. In love with them! Both pairs came in nice burlap pouches which are still in use. Price is $16-22 for round and $22-24 for triangular. Beautiful and comfortable needles. Medium smooth polish and medium-sharp points make them a universal tool for a knitter. I picked the longest ones (14"/35cm) and don't regret that. Price: $8-$17 depending on the size and length. Marvelous looking needles made of ebony and Karelian birch. Polish is medium smooth. Points are the thing that was a disappointment. They are so sharp that by the end of a single knitted row my index finger cries and asks me to stop. I'll try to fix this with rough sandpaper, but I'm not sure what will happen to the polish after this. King Wood and fancy ends didn't save these needles. Polish is medium smooth. Points are very sharp and uncomfortable. But my main frustration was that there was a knot in the wood of one needle. And it broke right there after just several rows of knitting. I believe that this doesn't happen too often, but probably these guys have to control their quality. Price: from $5 and up depending on the size, length, and brand. My favorite coated aluminium needles. They are very light yet sturdy and I like these tiny beads at the ends. Thanks to smooth surface and medium-blunt points they are my to-go choice for non-slippery yarn like wool or linen. I bought them in Turkey and regret taking only two sizes. 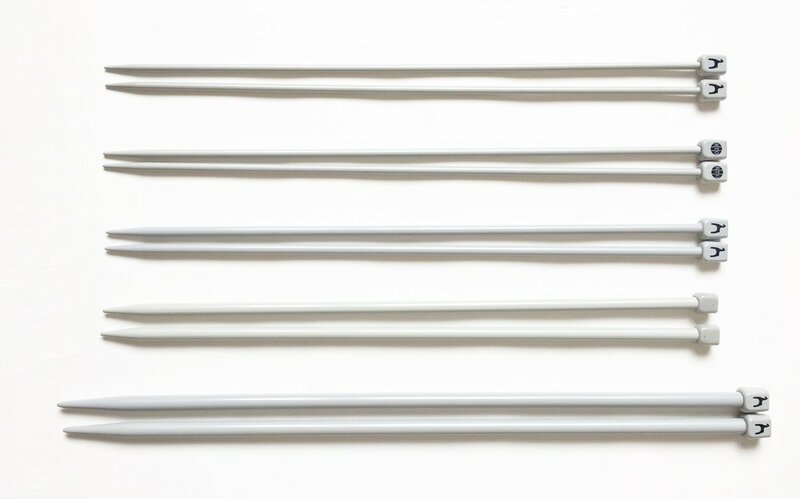 Aluminium needles with shiny colorful coating. As for me, they are not as slippery as other aluminium needles. This and medium sharpness of the points makes the needles a good choice for the basic universal tool. Also, available colors are pretty nice! My favorite is copper-like one. Price: $3 and up depending on the size and length. One more collection from my early knitting years. Comparing to Kartopu, these have a bit more blunt points and lack nice endings. In general, there's no significant difference in quality between brands or at least I could never see it. Coated aluminium is very smooth and works good with fluffy or coarse yarn. Price: from $2.50 and up depending on the size, length, and brand.